Decorative and protective! Designed with classical charm in mind, the Colonial Shutter provides not only an aesthetically pleasing addition to your windows, but affords added protection from gusty winds and rain. 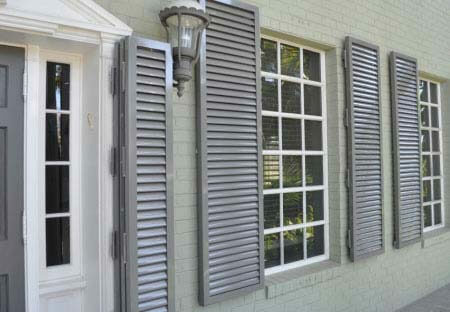 Frame constructed from sturdy aluminum extrusions, these shutters are virtually maintenance-free. They minimize heat build up and glare, yet allow for fresh air circulation and filtered sunlight. 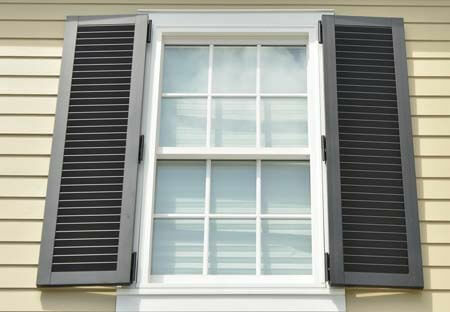 Home Safety Solutions offers professional colonial shutter installation services. Serving Pinellas, Hillsborough, Pasco and Hernando areas. Protecting homes, possessions and families from violent weather and hurricanes over 3 decades. Click here to request quote.